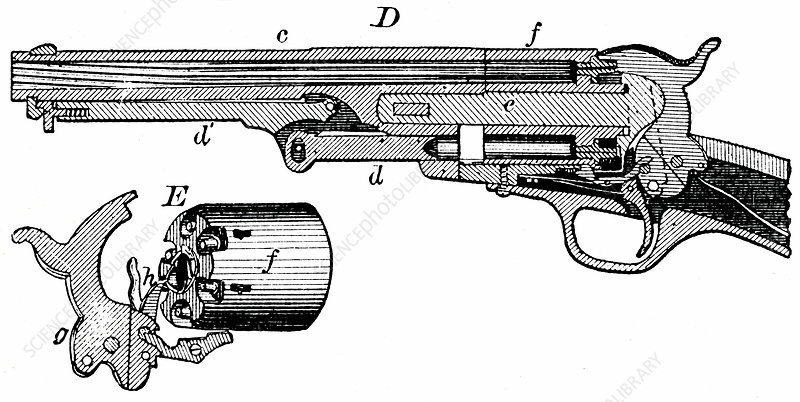 Sectional view of the Colt revolver, c1880. The Colt revolver, invented by Samuel Colt (1814-1862). After the Mexican war of 1846-1848, Colt's weapon was adopted by the US army. From The Practical Dictionary of Mechanics edited by Edward H Knight, (London and New York, c1880).